Featuring an expertly faceted square cut, 6.5mm. Total Diamond Equivalent Weight (DEW) 1.50 carats. Our gemstones are eco-friendly & sustainable. Sleek and luxurious. 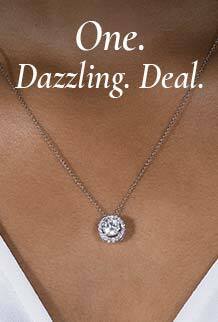 This solitaire Forever One Princess cut moissanite pendant is timeless. Set in rich 14K gold, four prongs hold this glistening stone effortlessly dangling from an 18 inch cable chain. Simple yet meszmorizing, you add the color.